Happy 3 Day Weekend (for those who get one!)! 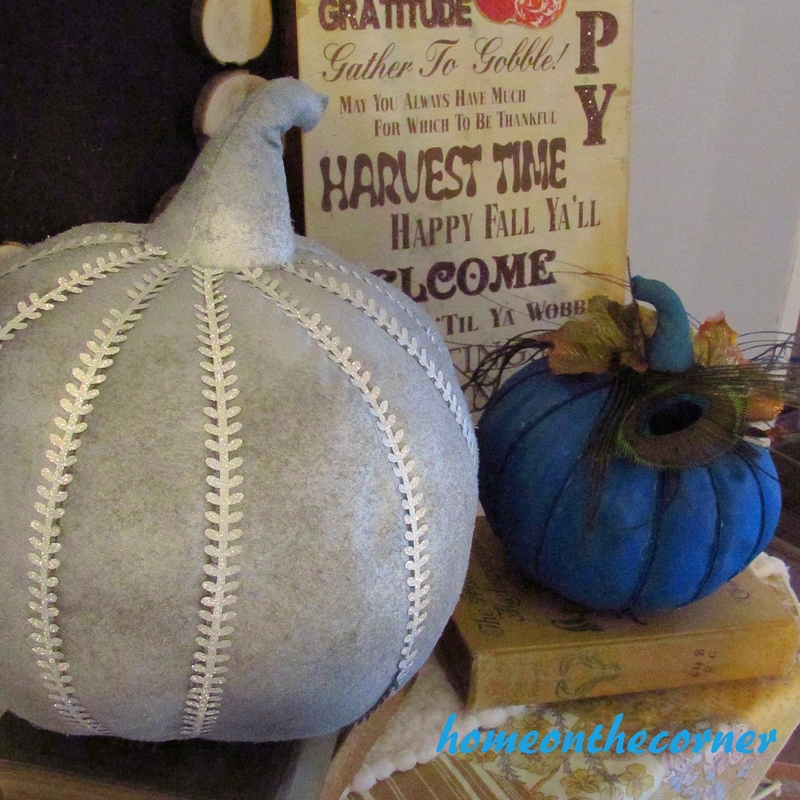 This post is late today because I am busy trying to get my house cleaned up and ready for fall! I don’t have much time during the week, so I figured this was my time to get moving on it. I feel like I accomplished quite a bit, but I didn’t get the blog done for this morning. But it’s here now! 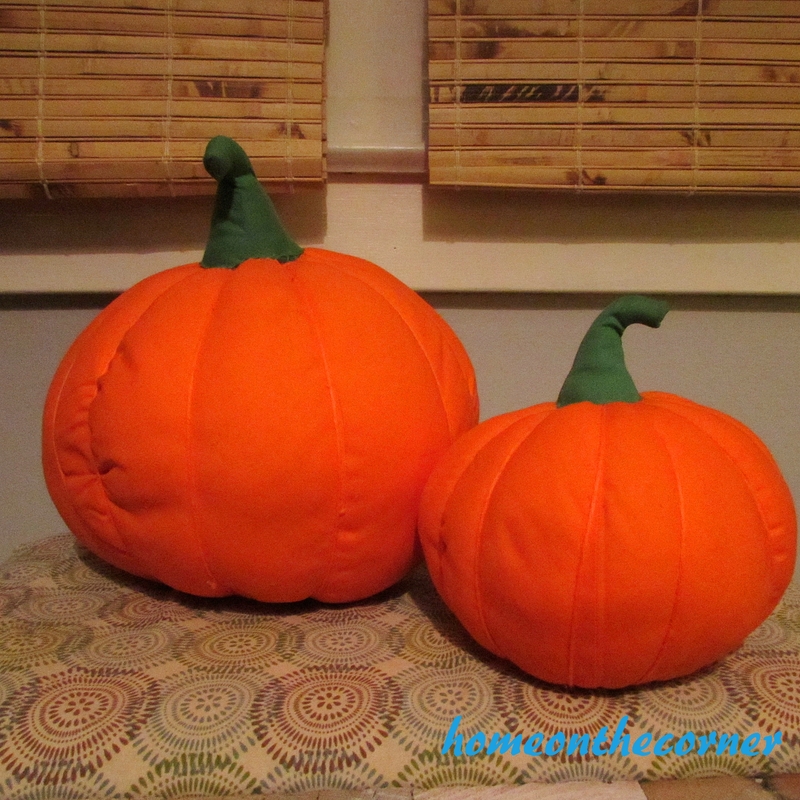 I found these 2 (very) bright orange fabric pumpkins at a thrift store. There really wasn’t much out yet at the stores I usually go to. I wasn’t sure what I was going to do with these, but I figured something would come to mind. I talked with the girls and we came up with a few ideas. Much better color! I added a little more turquoise with some purple mixed in for the stem. After seeing the turquoise, my mind totally went in a different direction than polka-dots! Do you do that? Change your mind part way through a project? All. The. Time! 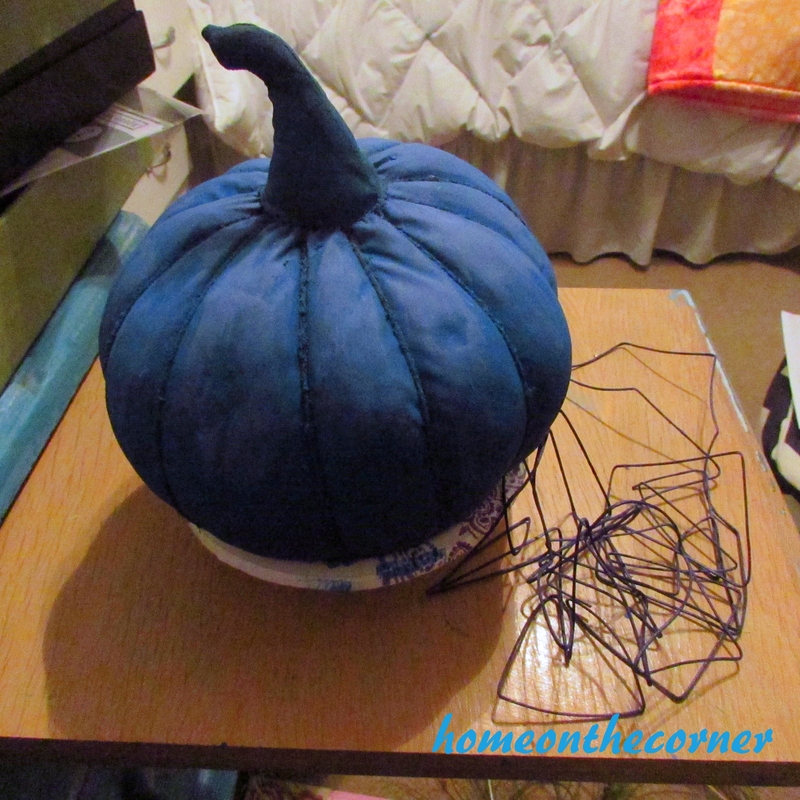 I decided to add some string around the pumpkin where the previous string was. I picked a navy blue, although it looks kind of purple. 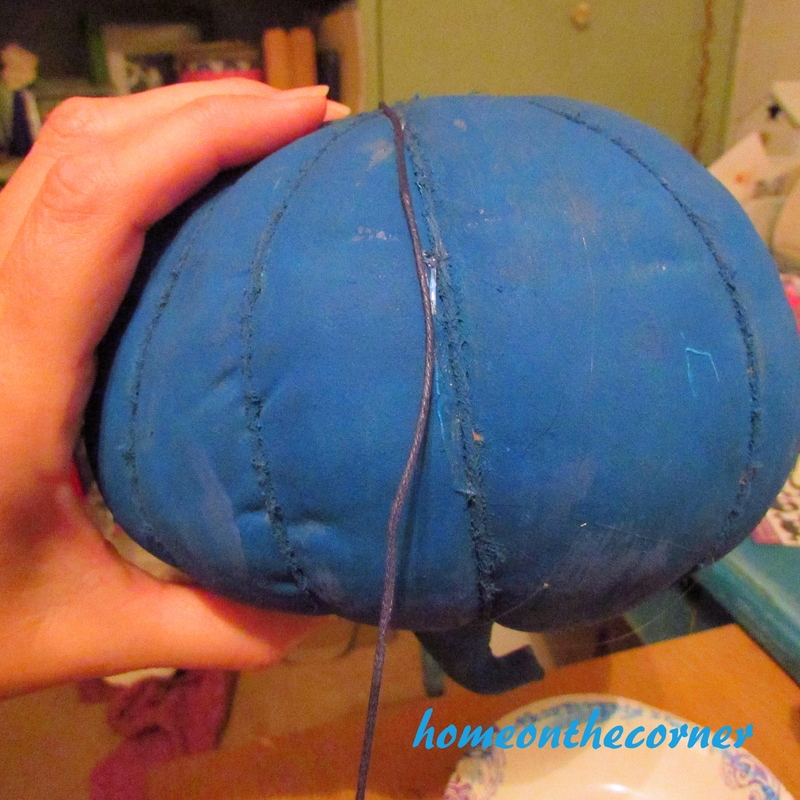 I just put some hot glue on the old string and laid the new string over the top. 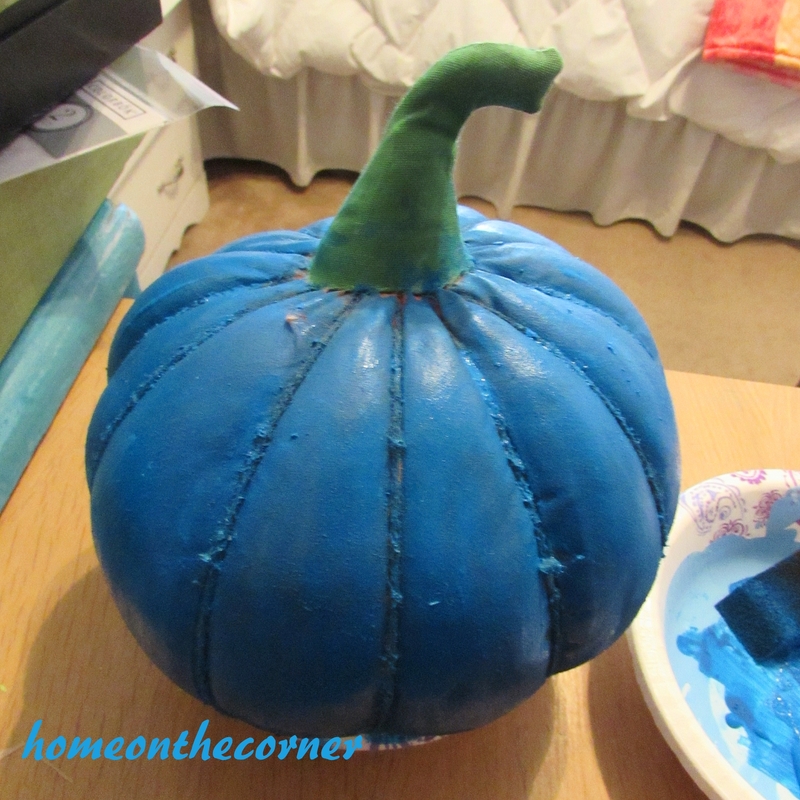 Here is a little clue to how I ended up decorating the pumpkin. 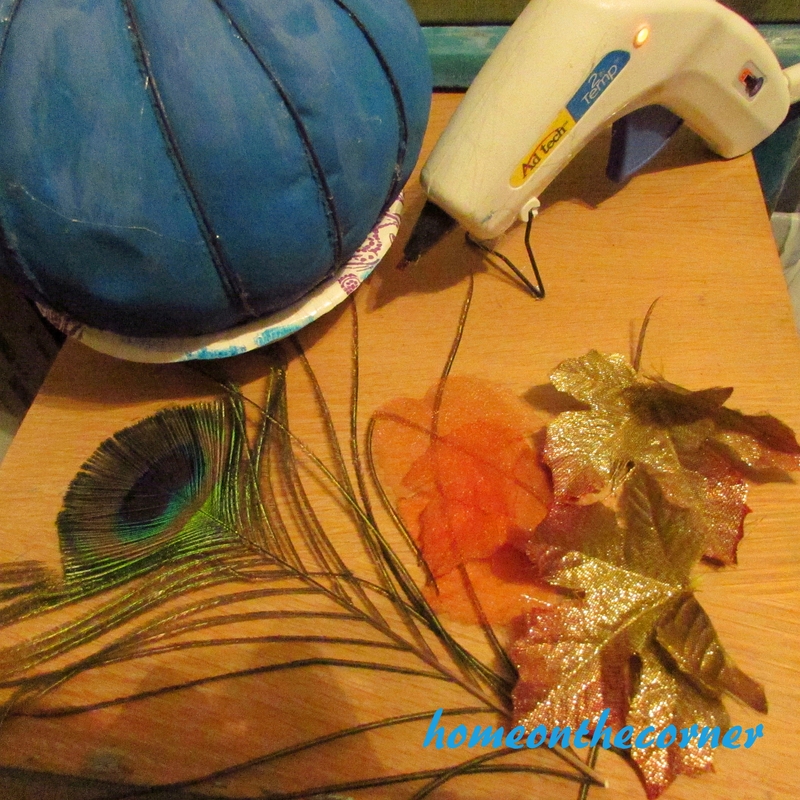 These are a few of the embellishments that I used. 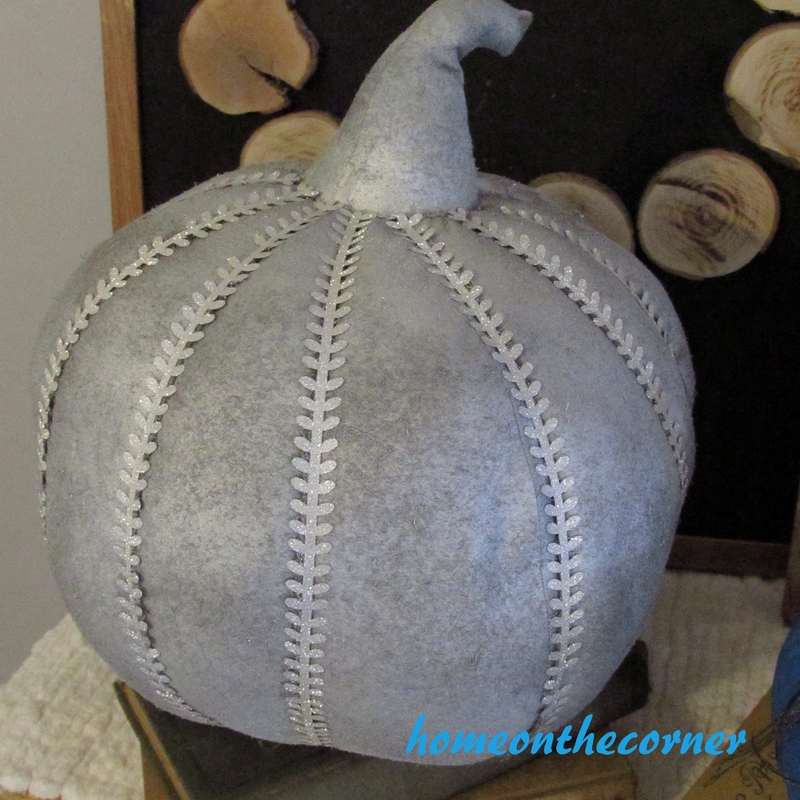 The big pumpkin I just spray-painted with Rust-oleum spray paint in Metallic Aluminum. Then I added some glittery silver filigree washi tape that I found at Walmart. Sorry I don’t have the package to show you. I had already opened it for another project. Isn’t is pretty! And here is the turquoise one! Ta da! Haley loves peacocks and we had decorated her graduation party in a peacock theme. You can see it here. I had a few feathers left over, so it worked out great. I just loved how they both turned out! 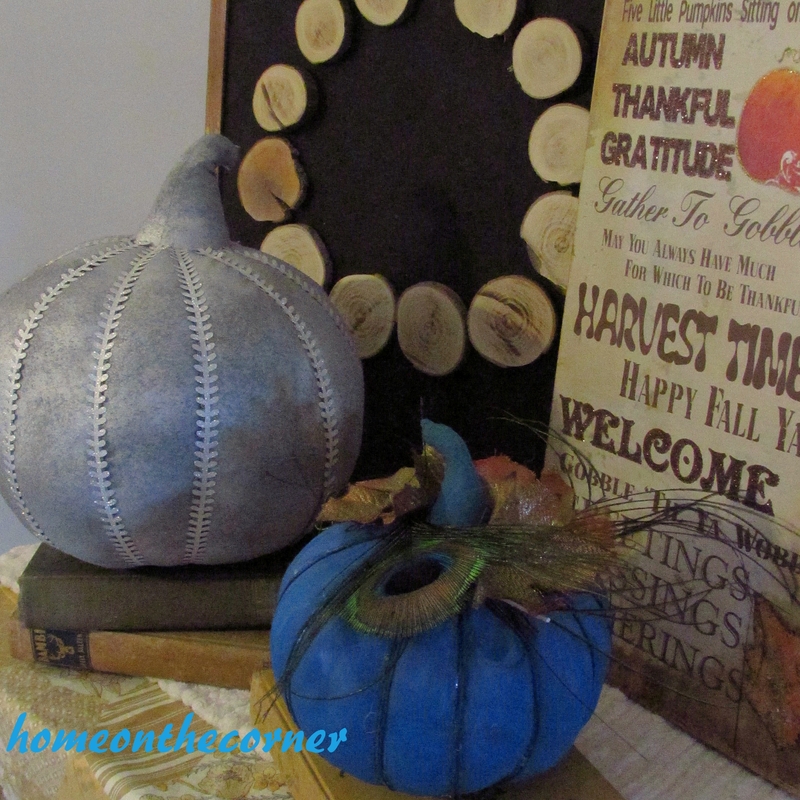 Have been decorating for fall yet? ps. We (mostly Lauren) have been on Periscope! Be sure to follow us there to find out when we go live! Oh! How much fun! I love the fun colors you chose! Thanks for linking up at the pumpkin party! Thank you so much for coming by to take a look! These are so great! 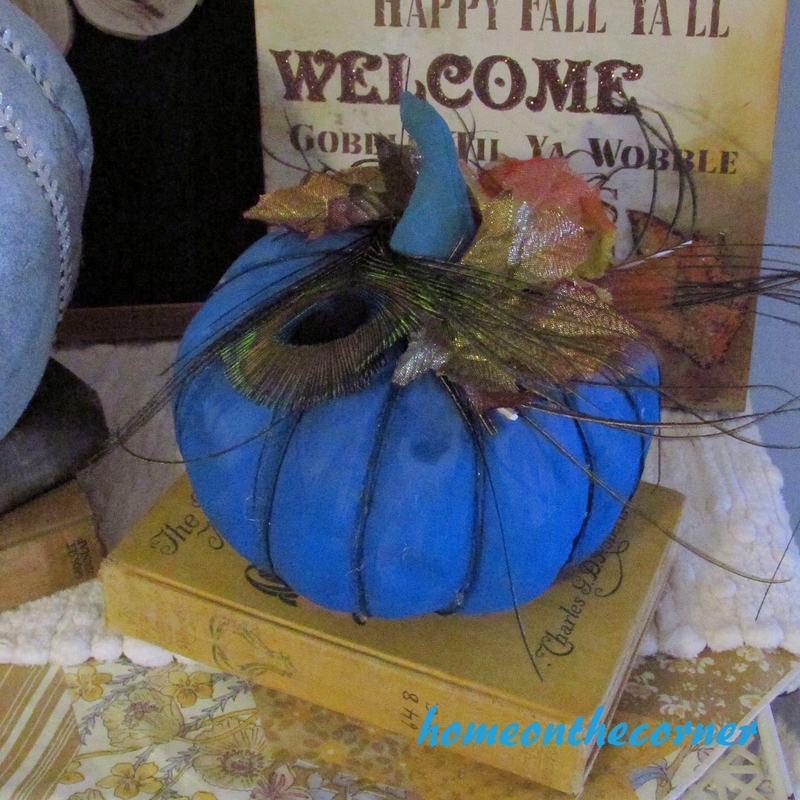 I love the blue peacock pumpkin! Coming over from Your Inspired Design! The pumpkins turned out really cute! My favorite is the silver one–I like that it’s a little unexpected for Halloween. 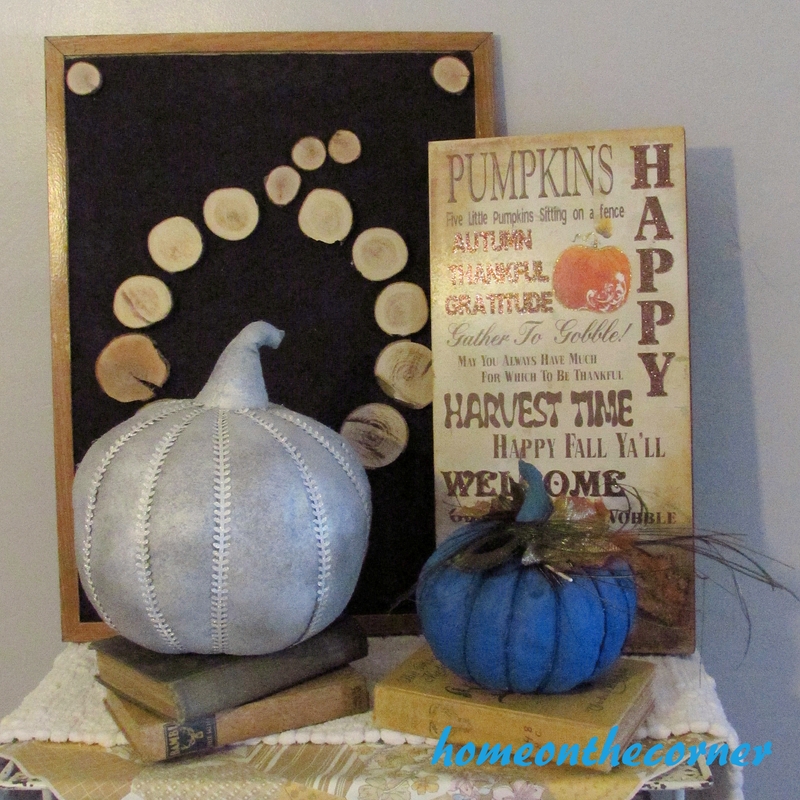 Thanks so much for linking up at the Finding Fall Link Party–I really appreciate you sharing this cute idea! These turned out so cute! 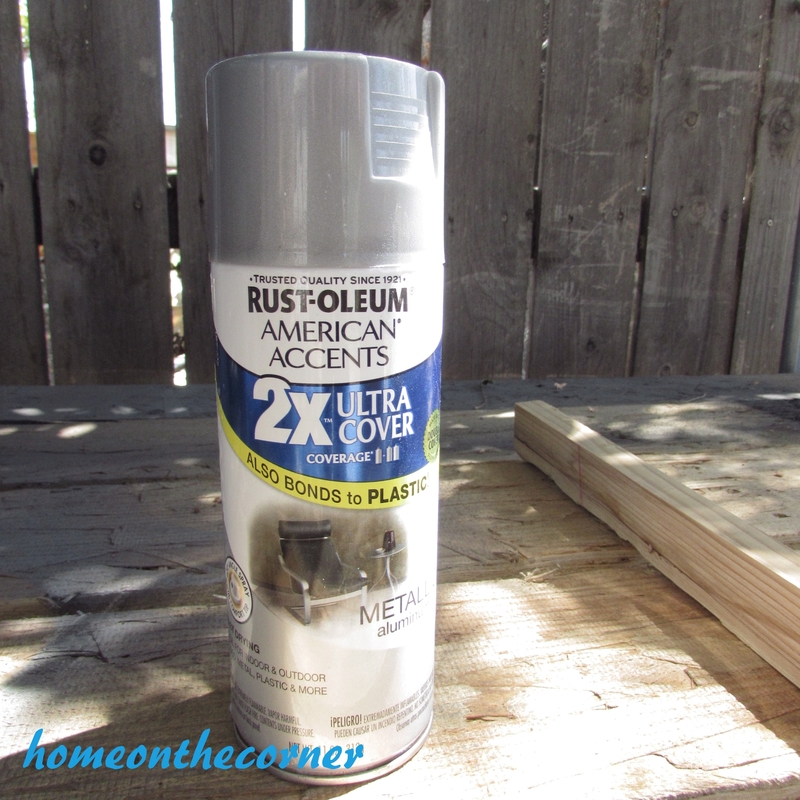 Thanks for sharing and linking up with us at the #HomeMattersParty! You would never know that these started out bright orange! Love the changes you made on them. Thanks for linking up at Your Inspired Design! 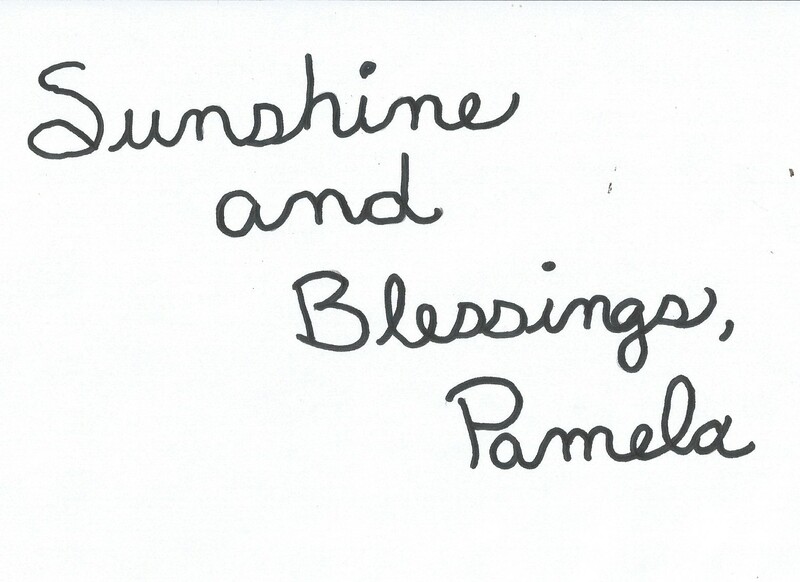 Super cool, Pamela! I love the silver one. I love these colours much better then the boring old orange! Just beautiful. Thank you so much! It was fun coming up with something different!